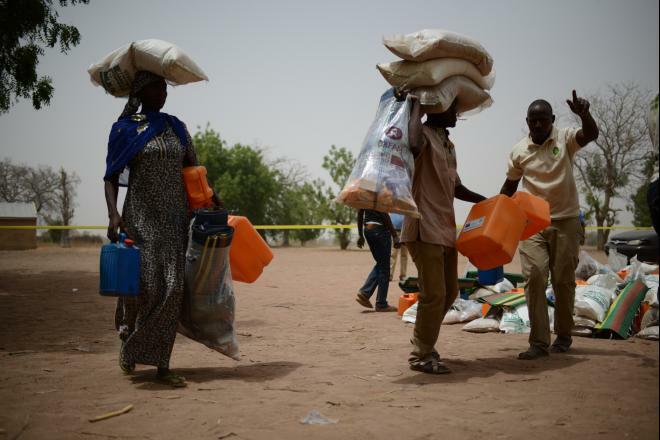 The ongoing conflict with Boko Haram in West Africa has pushed the number of people facing the threat of severe hunger to more than 6 million according to the latest assessments, say 15 humanitarian organizations. The warning comes as governments and donors meet to talk about the humanitarian crisis in the Lake Chad Basin region at the UN General Assembly in New York on the 23 September. The revised UN appeal is calling for US$559 million until the end of the year to meet the emergency needs caused by the crisis. Organizations say that without more money they are unable to reach the most vulnerable people even in areas that can be accessed. At the UN General Assembly world leaders will also discuss the plight of refugees and migrants, but those who have fled their homes but remain inside their countries will be missed from the discussions. With 2.6 million people on the move, the Lake Chad Basin is Africa’s fastest growing displacement crisis and should be high on their agenda. In some areas of Borno state in Nigeria, the rate of acute malnutrition in children under five is over 50 percent. This is similar to what was seen during the 2011 crisis in Somalia when the scale and severity of hunger led to a declaration of famine.